We are the primary resource in the North State for property owners or managers wishing to properly train their staff on best practices, rules, regulations, operations and marketing of residential housing. We provide the North State rental property operator with top quality tenant screening services available right on your computer desktop. No software is required and setup is easy. Our custom interface is optimized so the property manager can make the right decision fast! The association keeps a vast repository of rental forms. We monitor these forms to assure they are up-to-date. Over 100 forms are available for our member's use. Our monthly membership meetings and seminars provide members with valuable information critical to successful operation of their properties. When local property owners and property managers need to find a vendor or subcontractor, the best source is the North Valley Property Owners Association 'Industry Partners'. These affiliate members are specialists in all areas of rental property maintenance and service and are motivated to provide excellent products and service to North State rental property operators. The Liaison Newsletter, published monthly, has a variety of information including articles about rental property issues, legislative updates, operational updates, marketing tips, and advertising for valuable services. It is critical that the rights of private property owners be protected. For that reason,we work with local and state legislatures to make sure that the interests of rental property owners are protected. For the last 8 years we have been participating in a Legislative Day in Sacramento to help stop Bills that will cause tremendous obstacles and frustrations that could put our members out of the rental business. 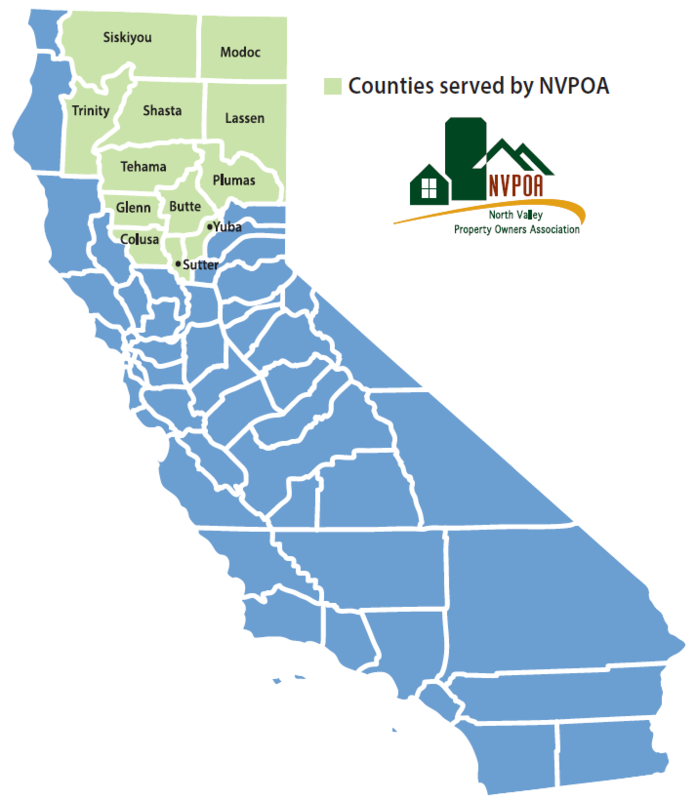 NVPOA has become affiliated with the National Apartment Association. What this means for our members is that they will have more access to online education tools, legislative advocacy, up to date information about trends happening in the U.S. related to housing, Units Magazine, and much more!